What with it being Hump Day (Wednesday is the ‘hump’ of the week) we thought we’d find a tenuous link to vehicles good over humps, and nothing is better than a rally car when things get humpy. 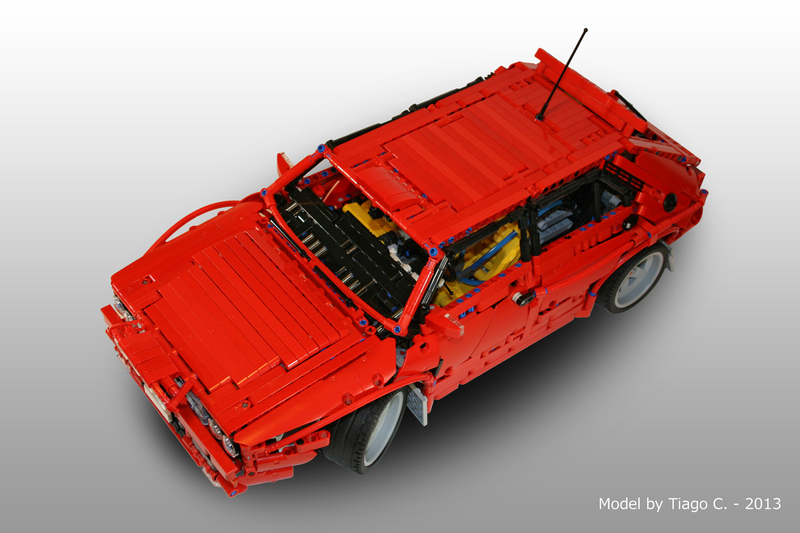 Both today’s rally cars use LEGO’s excellent RC components to give them drive and steering, both are legends in their own right, but they come from very different rallying eras. 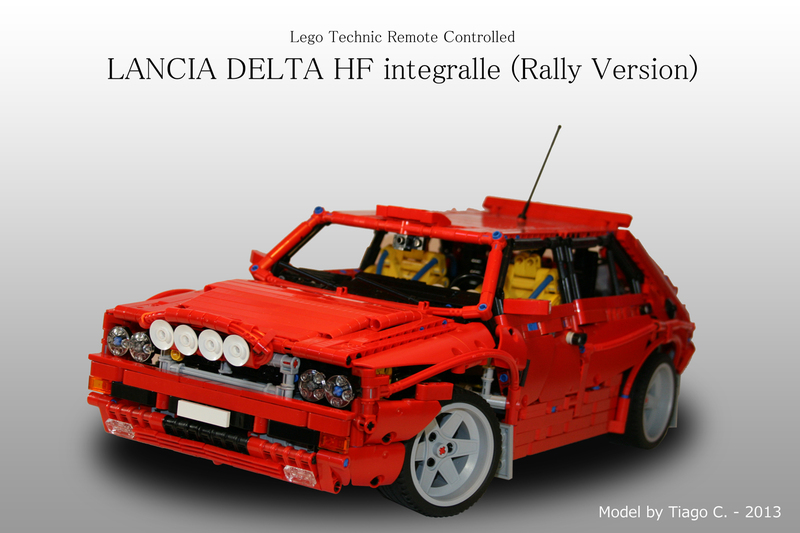 First up (above) is a breathtakingly brilliant Lancia Delta Integrale by Tiago C on Brickshelf. The Delta won an astonishing 46 World Rallies, taking Lancia to six consecutive World Championships and a record which remains to this day. Next we have one of the new stars of the World Rally and Rally-Cross Championships, Ford’s monster Fiesta, in -as it happens- Monster energy drink livery. The work of Piterx, you can see more photos and join the discussion on Eurobricks. And finally, the only thing that gets close to a rally car over the rough stuff is a trial truck. They may be slow, but the humps they can clear are truly enormous. So as a Hump Day bonus here’s Jorge Garcia‘s Tatra Kolos 8×8, also featuring remote control, clearing two humps. You can see the full gallery of the 8×8 in action on MOCpages. Yes, for some reason (possibly due to Brickshelf crashing last week) Tiago’s pictures have gone back into Brickshelf’s moderation queue. Hopefully Brickshelf will correct this soon. Thanks for the links. Readers, click these to see more of Tiago’s Lancia Delta, or click the main link which is now active.